Don’t pass up a great gardening season: Fall! If the gardening bug only bites you in the spring, you’re missing a prime opportunity. There are several reasons why fall is a great time to work on your landscape. Decreased water requirements. In many regions, fall brings more reliable rainfall than summer. Temperatures are cooler, so soils don’t dry out as quickly. Stress reduction for plants. Fall installation gives plants a chance to establish a strong root system. Plants entering dormancy are not under pressure to produce top growth and blooms. Hardier, healthier plants. New landscape additions are more likely to make it to adulthood because they don’t have to withstand summer heat and sun. Plants will have two seasons of cool weather and rain before the heat of summer. Pest populations decline in autumn, giving new transplants a fighting chance. Cooler temperatures make certain varieties hardier. Many wildflowers require cold weather to pop seed coats. Bulbs also need cold to bloom well in spring. Supplemental mulch is readily available. Add fallen leaves to compost piles or run them through your lawn mower for instant shredded mulch. Use your grass clippings from the season’s last mowing to mulch beds. Labor saving season. Spring and summer are labor-intensive seasons for gardeners. Fall is leisurely and the cooler temps make for great working conditions. Grass and weeds aren’t growing as fast, which saves you time, making this a perfect time to start new garden projects. Maybe you’d like to establish a new perennial bed or add some colorful fall annuals? More Quality Time With The Experts. If you felt lost in the springtime rush at the garden center, you’ll enjoy the slower pace of fall. 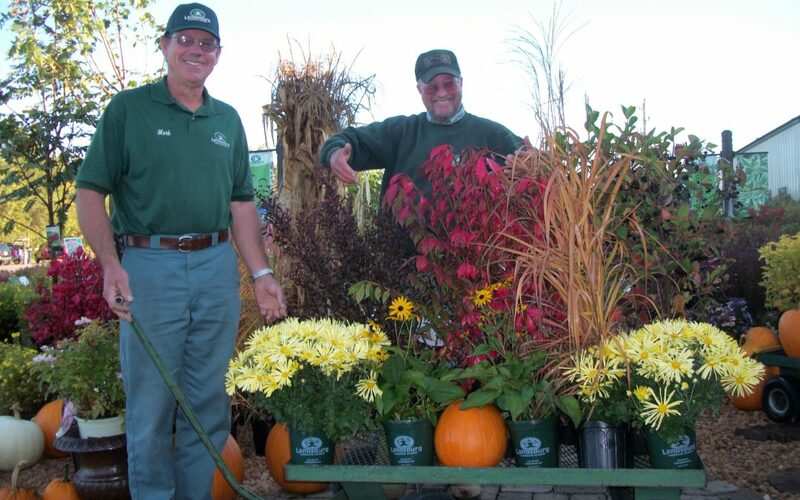 We have more time to answer questions and assist with fall planting ideas.